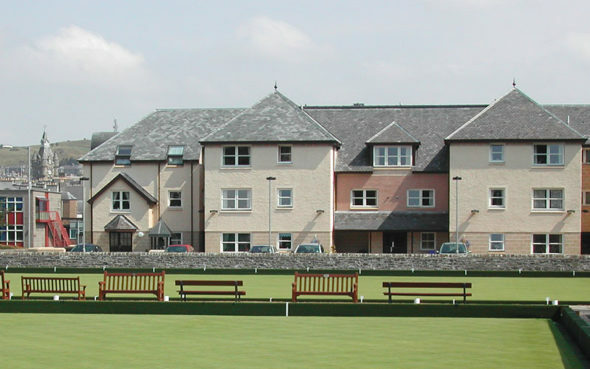 Frank Scott Court very sheltered housing in Hawick overlooks the bowling greens, and is very close to Wilton Lodge Park. It offers 19 high quality flats suitable for older people who want to live independently, with some support. 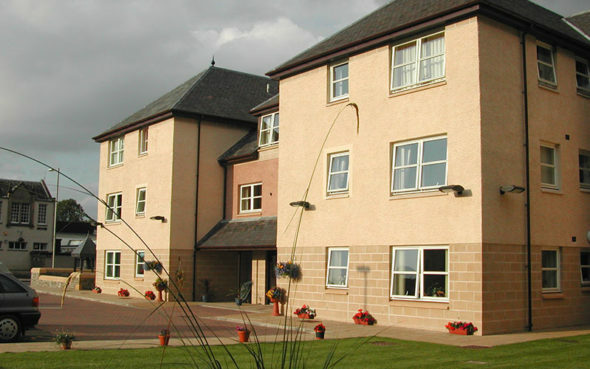 These very sheltered homes are purpose-built, and within easy reach of Hawick town centre and neighbouring towns. The bus stop is just across the road. Accommodation is on three floors, and a lift is provided. There are two bedroomed flats, and two flats are designed for wheelchair users. Frank Scott Court has a warm, friendly atmosphere, and a safe secure setting. The flats are ideal for people who want to retain their independence and enjoy a good quality of life in the community, with the provision of housing support by staff on site during the day. Who can apply to live at Frank Scott Court? 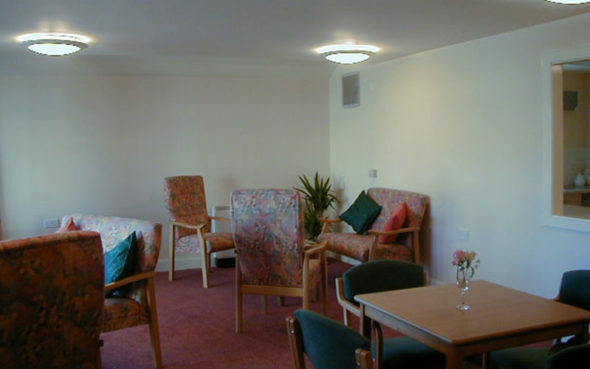 Frank Scott Court is suitable for older people who would benefit from the housing support provided by staff on site during the daytime, and the alarm system connected to a 24-hour alarm centre. Some flats are suitable for wheelchair users. 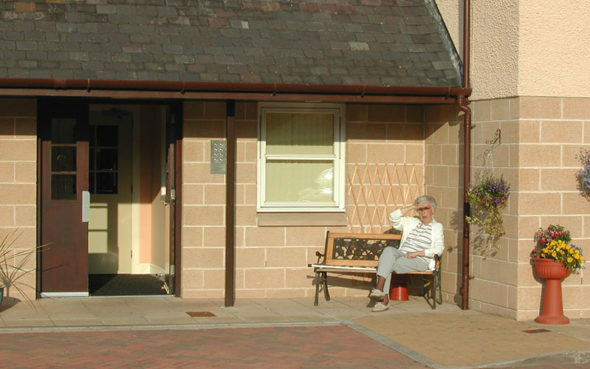 Eildon Care and Support offer a sheltered housing support service. If you require nursing or personal care, staff will help you to access it through NHS Borders or Social Work. Note: staff are not resident, or on duty overnight. Tenants pay rent and service charges to Eildon Housing for their accommodation and related property services. 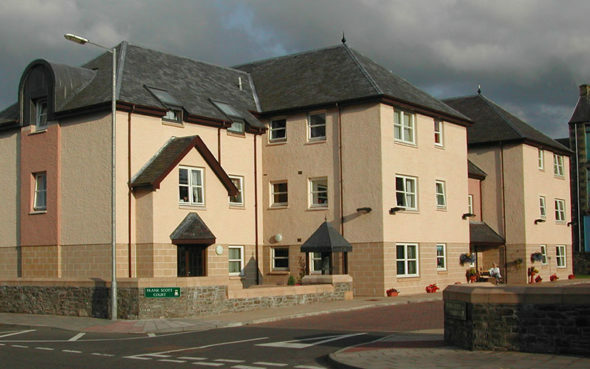 The housing support service provided by staff on site is funded by Scottish Borders Council. Depending on your finances, you may be asked to pay Scottish Borders Council a contribution towards these costs (up to £24.82 per week from April 2018). If you would like to discuss these charges, or want to find out about Housing Benefit, Income Support and other benefits, our team at Frank Scott Court will be happy to help you. For further information, please refer to the following documents. Eildon Housing Association Tenant Handbook, Care Inspectorate report, National Care Standards. To see current vacancies, please visit our Homes for Rent page or contact Frank Scott Court by email or phone 01450 367075.